CITRUS PARK, Fla. — A motorcycle crash bloodied Chris Deeulio from elbow to ankle. Deeulio was taken by St. Joseph’s Hospital by ambulance. This patient did not require surgery and estimates he spent three hours in the emergency room. The hospital sent a bill for more than $28,000 for the ER visit. The amount didn't include the ambulance or the doctor who treated Deeulio’s wounds. Rachel Burke works as a radiologist. She too suffered sticker shock after her son Ben wound up in the Citrus Park ER. The stand-alone ER billed Dr. Burke $1,700 for the X-ray on Ben’s hand. Three days later the hand surgeon charged Dr. Burke $71 dollars for the same X-ray. ABC Action News asked the Citrus Park ER’s parent company, Medical Center of Trinity, about the cost of Ben’s X-ray. 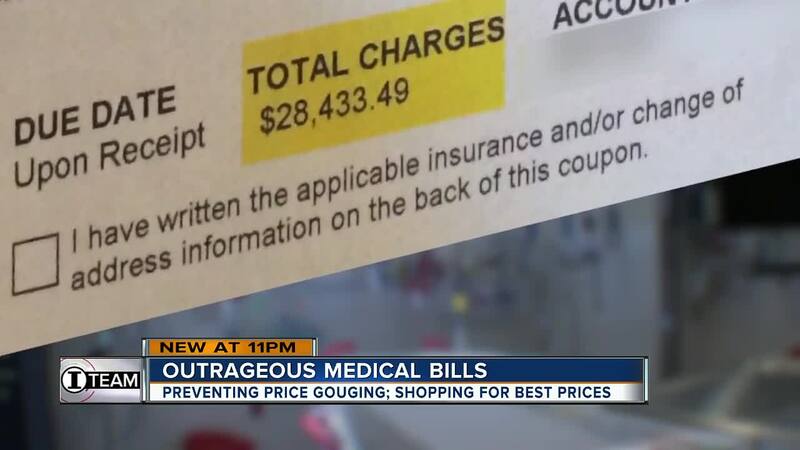 A spokesperson responded with this statement, “What a patient pays for their emergency room bill depends on their type of insurance coverage and that insurance company's pre-negotiated rates for services." Practice Forces in Clearwater handles the medical billing for multiple doctors' offices. Owner Parul Garg says most patients they call are surprised by the amount they owe. She advises everyone to ask for a cost estimate from their provider before going in for any procedure. Then start shopping. Plug the medical procedure's proper name or code into a cost comparison site. We shopped for a severe problem emergency room visit. Both www.healthcarebluebook.com and www.fairhealthconsumer.org estimated the cost at around $3,000. We asked St. Joseph’s about the $28,000 statement. They said the amount reflects a lack of insurance information on Chris. And each insurance company has a different fee schedule with the hospital. 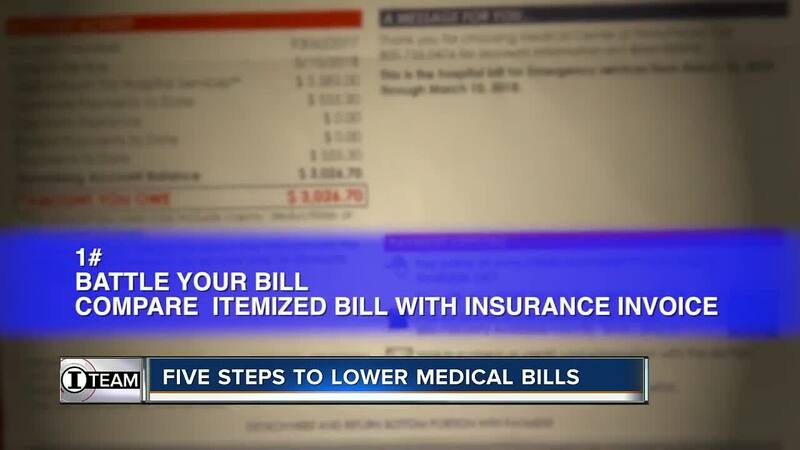 In both cases, these consumers never received itemized bills for their visits. A break down for services is something you must request before you can fight the charges. Click here for 10 ways to protect yourself from being price gouged during your next medical procedure.